The town of Hartland is remote but not without charm and has many craft shops and potteries in addition to cafés and restaurants. 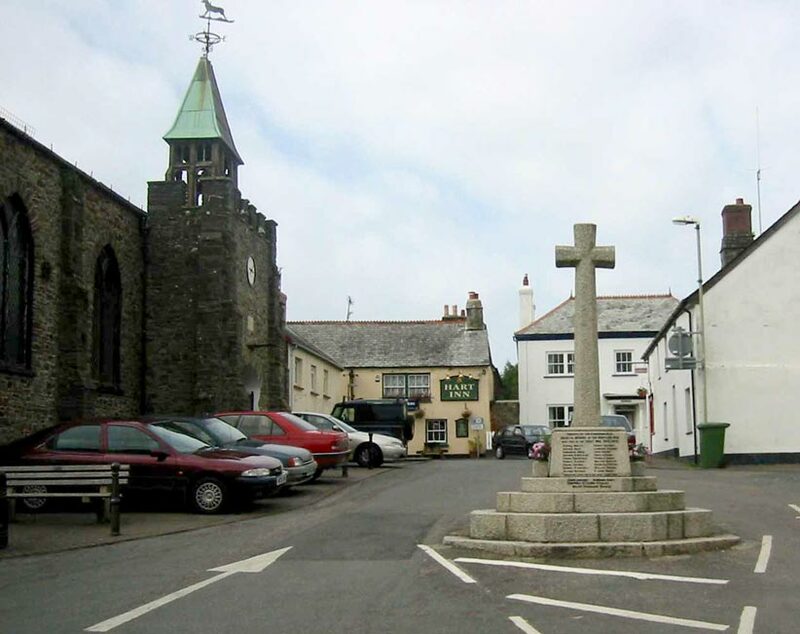 There is a long main street, with cottages either side, leading to the town square and the church of St John. This church was built in the first half of the 19th century to save the locals the long journey out to the former parish church at Stoke. St John’s Church was built on the site of the old town hall of which only the 17th century clock remains. Enjoy a view of some of the most spectacular coastline in the British Isles from Hartland Point, one of the wildest headlands imaginable. There are many wonderful vantage points, accessible by car or on foot, from which one can enjoy views of the coast. Not far away is Hartland Quay, where accommodation is available. A local Shipwreck Museum is worth visiting. The Quay was commissioned in 1586, following a parliamentary bill sponsored by some of the great names of the time – Sir Francis Drake, Sir Walter Raleigh and Sir John Hawkins. It became a busy port, shipping coal, granite and various farm produce until it began to break up towards the end of the 19th century. Today, nothing of the original quay remains. Hartland Abbey was built in 1157 and was consecrated as a monastery of the order of St Augustine of Hippo. 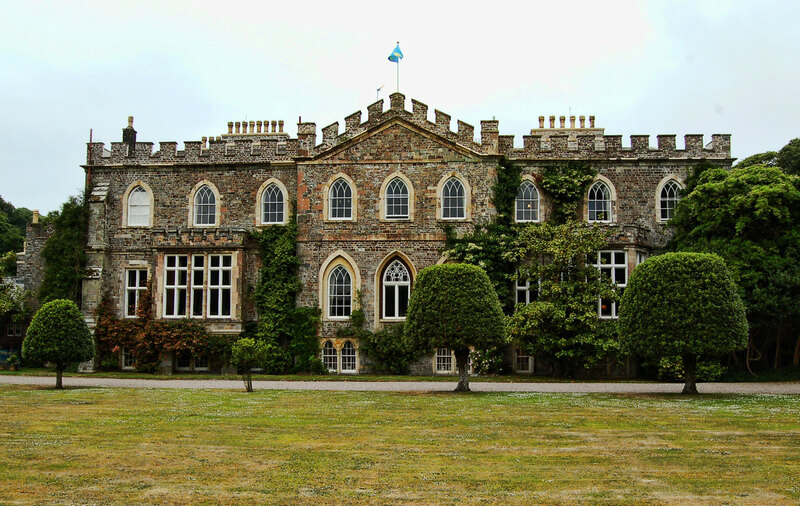 The monastery survived until 1539 when it became the last one in the England to be dissolved by Henry VIII. The King made a gift of the Abbey to William Abbot, sergeant of his wine cellar at Hampton Court Palace. The Abbey is still the home of the Stucley family, descendants of William Abbot. Between Hartland Quay and Abbey is the hamlet of Stoke containing the Church of St Nectans, a welsh missionary who was murdered in Stoke in the 6th century. 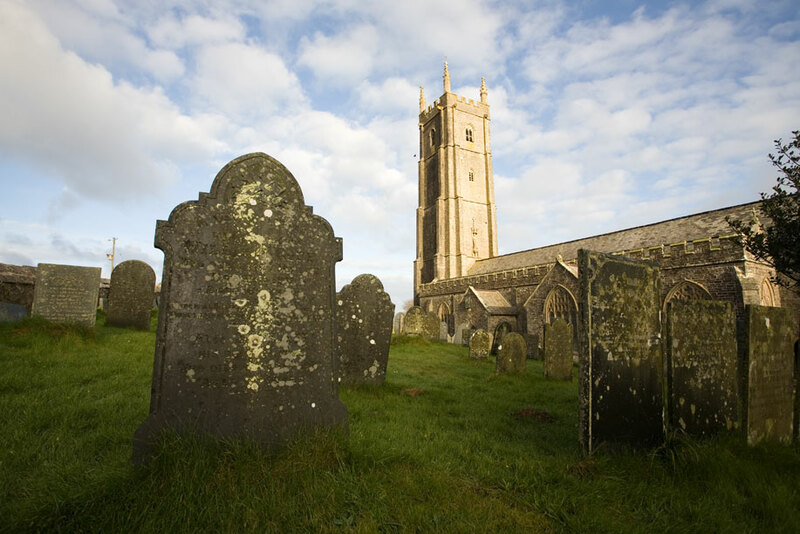 This former Hartland Parish Church is set in an evocative windswept landscape where trees bow in the path of the prevailing wind and gravestones lean like something out of a gothic novel. Inside, the wagon roof and rood screen are worth seeing. The church is known as the Cathedral of North Devon and dates mainly from the 14th century, although the magnificent font is a remnant of the original church built in 1055. The Church House, in the square was built in the 12th century. Close to Stoke is the local beach at Welcombe Mouth. At low tide there is sand and lots of rock pools. The beach is worth visiting just to see the stream and waterfalls tumbling down to the sea here. There are some wonderful walks along the coast from here and there is parking above the beach. Not far away is Docton Mill, of Saxon origins and with its beautiful gardens. There is also the unique fishing village of Clovelly with its steep cobbled streets down to the harbour. 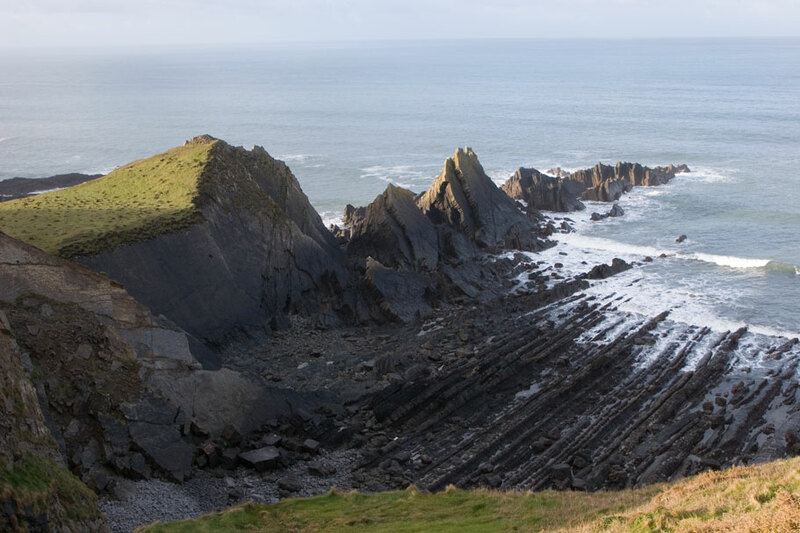 In fact, Hartland is within easy reach of some of the most attractive locations in North Devon.